Here is the definitive guide to growing healthy organic vegetables without wasting our precious water resources! 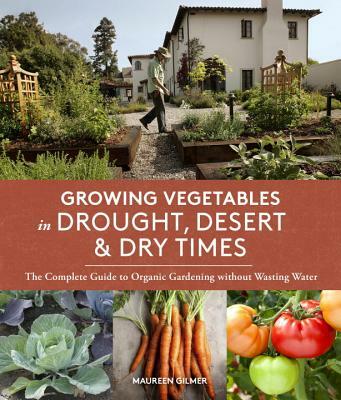 This incredibly timely book will give dedicated home gardeners the know-how to grow delicious produce in dry times, focusing on four different low-water conditions in the western United States: voluntary water conservation, drought, and both high and low desert. Using modern techniques, as well as tips and stories from native traditions ranging from the southwestern United States to the Middle East, this guide offers the best of ancient wisdom and the newest innovations in conservation, and includes varietal recommendations and a seasonal crop guide. Maureen Gilmer is a syndicated gardening columnist and author of eighteen books on gardening and landscaping design; she lives in Palm Springs, California, in the heart of the desert. "With boundless wisdom based upon years of experience promoting a water-conscious approach to gardening, Maureen Gilmer shows us how to have a gloriously productive garden—even in the face of drought." "Keep Growing Vegetables in Drought, Desert & Dry Times handy when that happens and you will be able to enjoy fresh, healthy, and organic vegetables all year. This book is a must-have for all home gardeners." "As a horticulturist and an ecologist, I salute Mo Gilmer for tackling the important subject of water conservation, which will only become more critical as we march through this century. Water is vital to our survival and the survival of our planet, and every gardener who thinks survival is important should read this book." "With this timely book, learn how to grow your own healthy organic vegetables without wasting water and, in the process, how to assess your local soil, wind, and heat conditions. This is a guide everyone should own and use." "Gilmer's guide to water-wise organic gardening is well worth heeding." "In [Growing Vegetables in Drought, Desert, & Dry Times], learn how to combine age-old farming techniques with new-school technology."